Whitehall played well at the beginning and end of its game against North Warren but was outscored 41-25 in the second and third quarters as the team suffered its seventh loss of the season. Three players recorded double digit scoring for North Warren as it defeated Whitehall 67-55 on Friday night. Nick Sapienza led North Warren with 19 points and Justice Parker and Iain Underwood scored 17 and 12 points, respectively. Justin Hoagland scored a game high 20 points for Whitehall, Brian McLaughlin added 16 points and Justin McDonald hit four 3-pointers. Whitehall and North Warren played tough through the first quarter and Hoagland hit a long 3-pointer as time ran out to tie the game at 15-15. But Whitehall committed too many turnovers in the second quarter and North Warren recorded 22 points, many in transition, to go into the half with a 37-29 lead. The Cougars extended their lead with a 19-9 third quarter. Whitehall rallied late, scoring 17 points in the final quarter, but were unable to complete the comeback. Jarrett McMahon had a strong game for Whitehall, playing solid defense and leading the team in rebounds. The loss came two days after Hadley-Luzerne defeated Whitehall 71-54. In that game Jesse DeMarsh scored a game high 29 points and Caliber Bolt added 15 points. 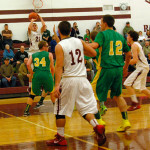 Hoagland led Whitehall 21 points and McLaughlin netted 19 points. Hadley Luzerne played a consistent game from the opening tip to the final whistle, scoring between 16 and 19 points each quarter while not allowing more than 15 points in any quarter. 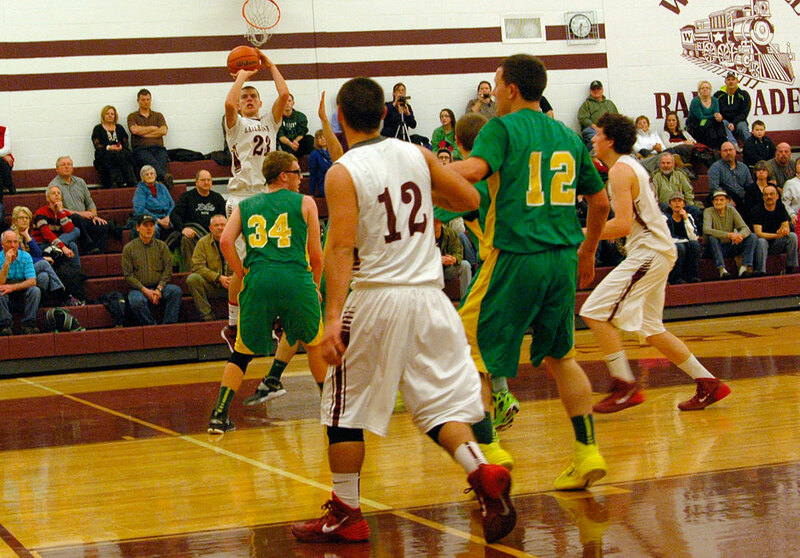 With the losses, Whitehall drops to 1-7 in the Adirondack League and 1-8 overall. The Railroaders host Salem, the only team they’ve beaten this season on Jan. 22.